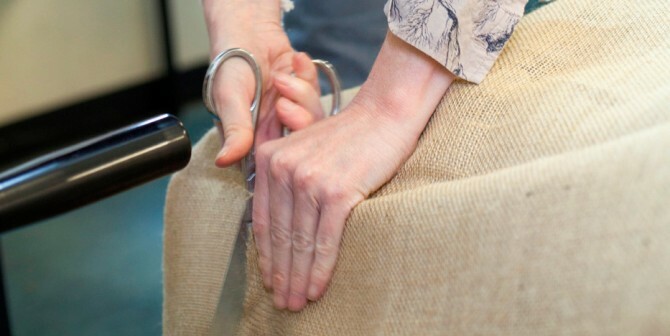 These one day workshops can be used as a “taster” or as an opportunity to complete an unfinished project. If you intend to finish a project in a day, please bring fabric and braid (if appropriate). Please choose a small, manageable piece. No previous experience necessary. 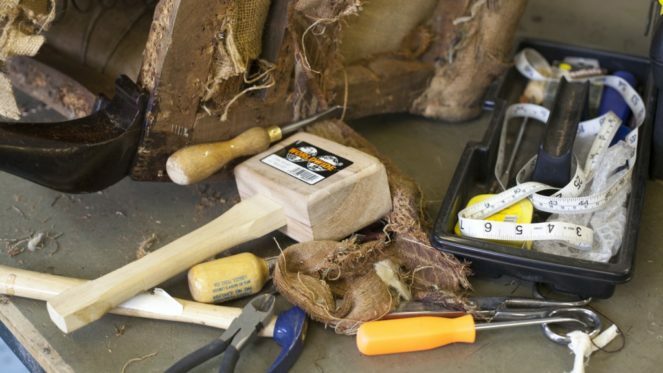 My first experience with upholstery began in an evening class over 20 years ago, I loved it and was hooked. 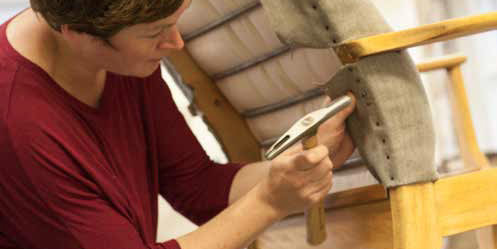 I gave up my job as a Physio and embarked on a full-time, 2 year, City and Guilds course in Upholstery which I passed with distinction. Once the course was over I set up a business with a fellow student forming Hamilton & Hodson. 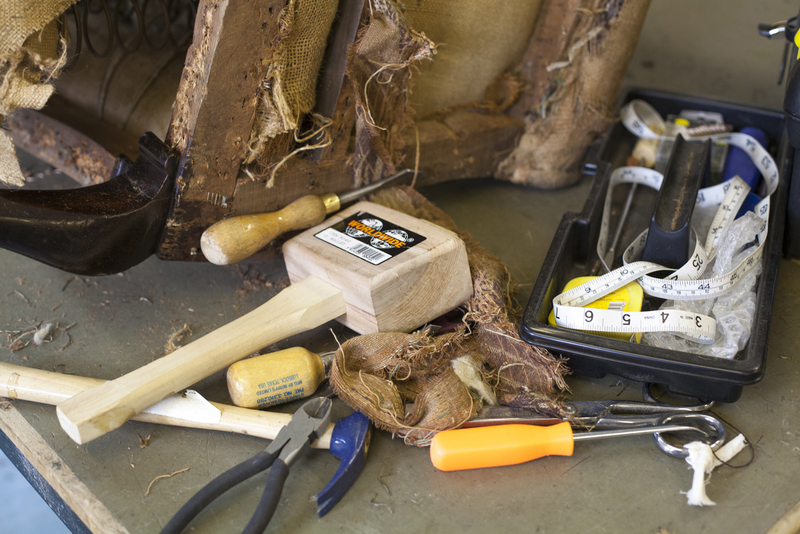 I now split my time between H&H, teaching upholstery and spending time with my young daughter. 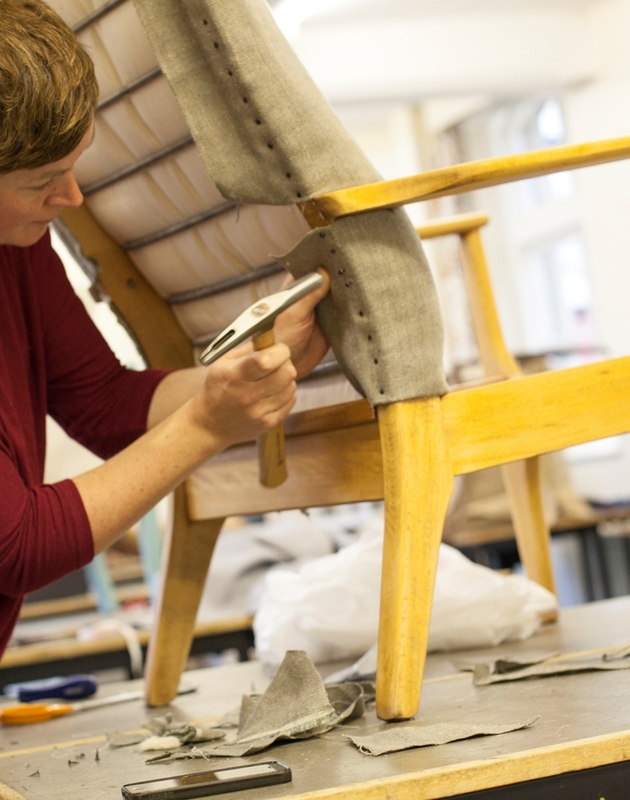 I have been teaching since 2008 and really enjoy seeing others become enthused about upholstery, as I did all those years ago, in an evening class just like the ones I now teach!